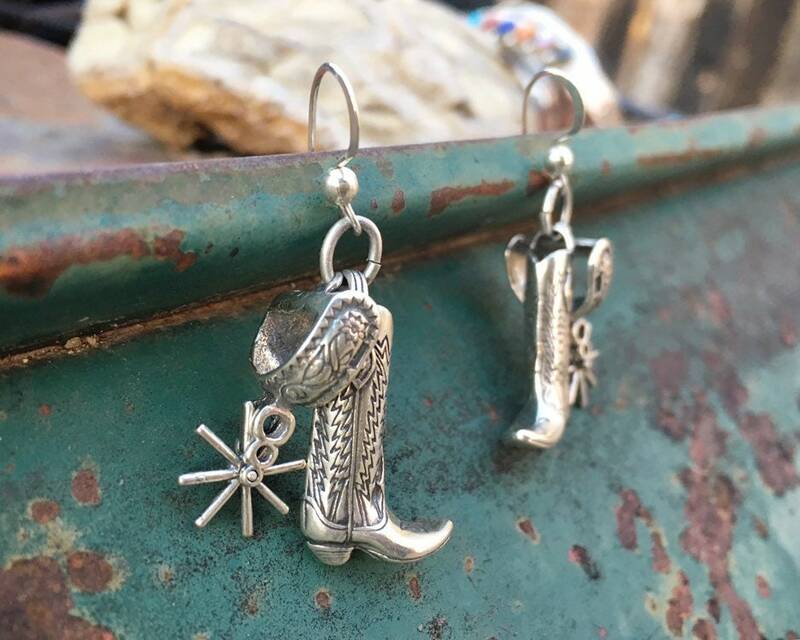 If you have a cowgirl in your life, then you ought take a hard long look at these earrings of pure sterling silver cowboy boots with spurs. 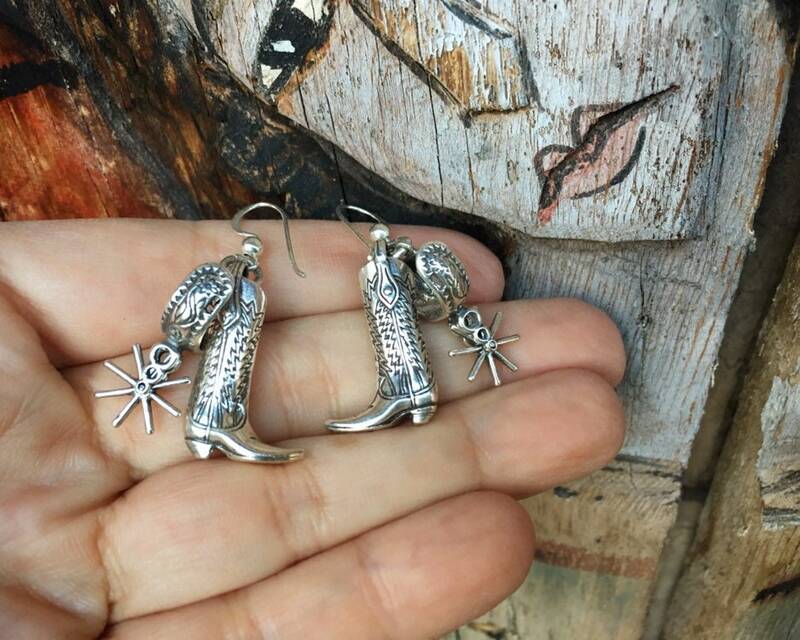 These are about as fabulous as you get, estate jewelry, hard to find, with faded hallmarks on the bottom of the boots. 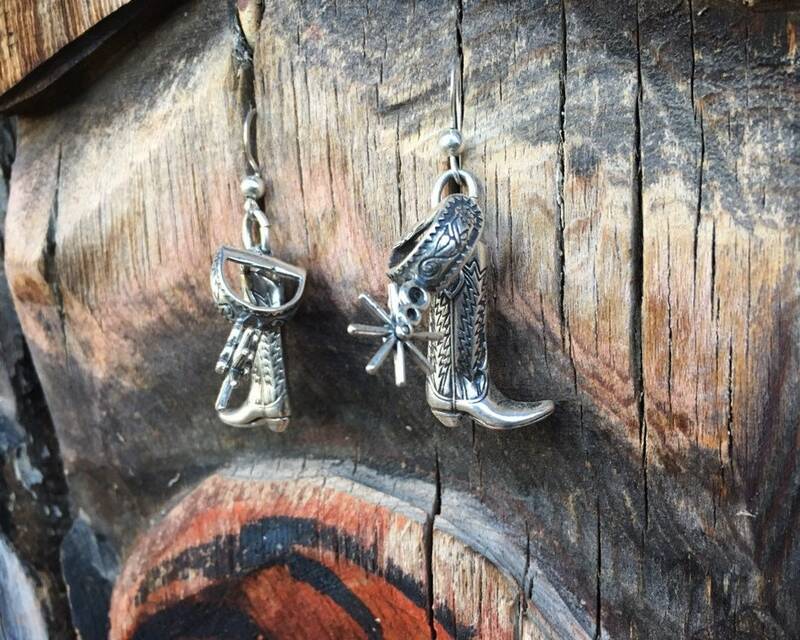 Boot is one charm and spur another, the two dangle together for 15gm of pure silver. And long boots, old school, like the kind we wore when we Country Western danced. 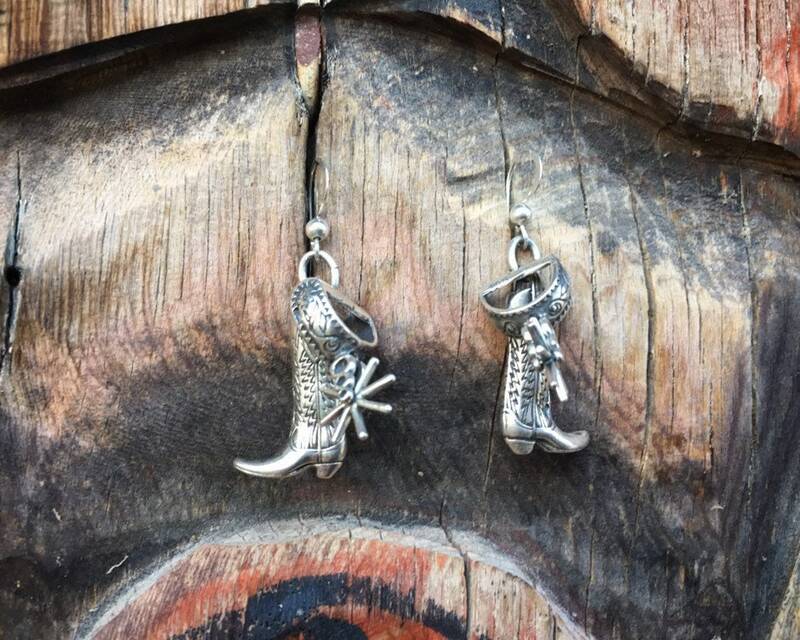 Spurs on the earrings actually move! 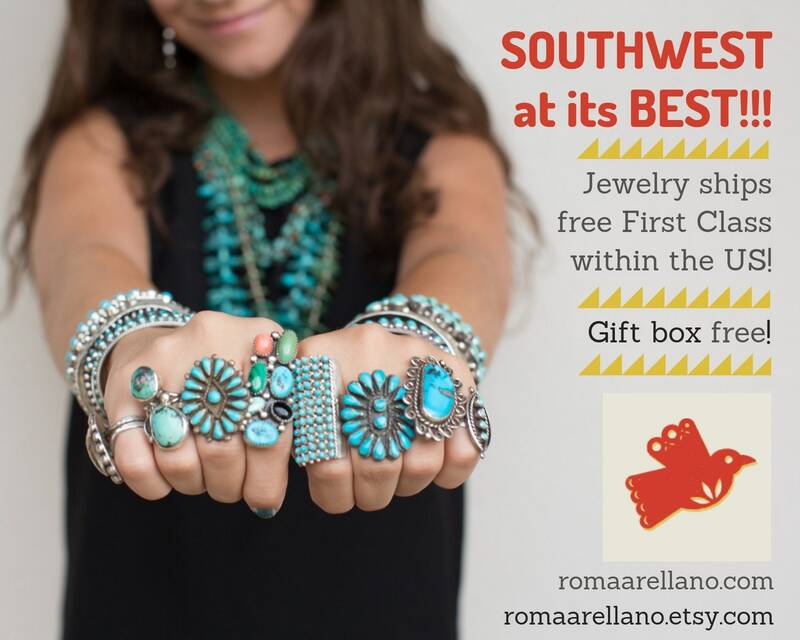 We can't tell who the artist is given the hallmark; hence, we call them Southwestern. 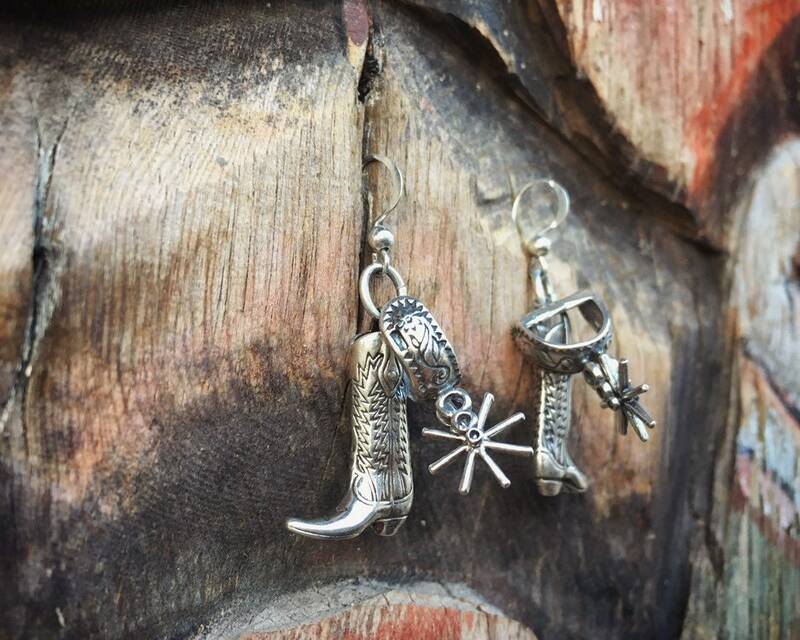 The earrings measure 1-1/8" long and dangle closer to 1-1/2" including French hook. Not large at 1/2" wide yet have great presence. In good condition. 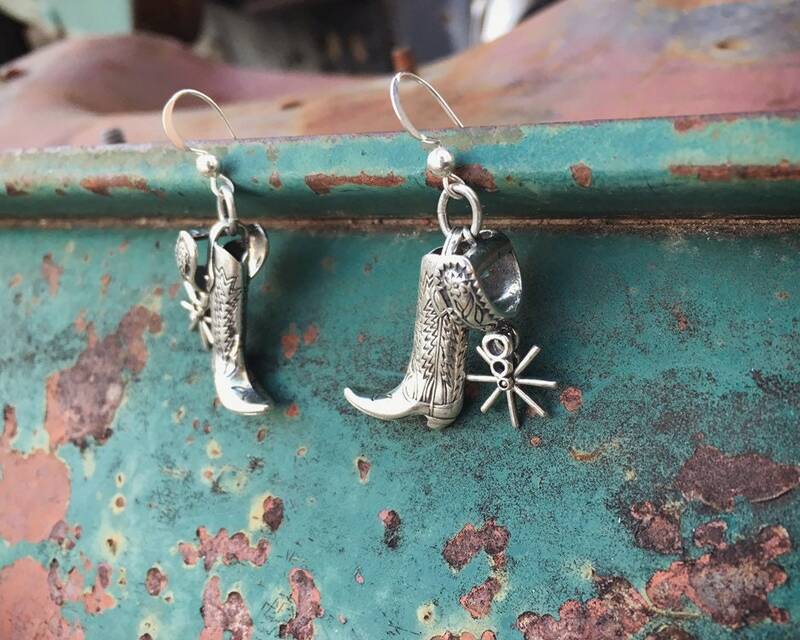 Wonderful gift for the cowgirl in your life.